A striking new collection of ten short stories and two novellas that explores the idea of property in every meaning of the word, from the acclaimed New York Times bestselling author of the National Book Award finalist So Much for That and the international bestseller We Need to Talk About Kevin. Intermingling settings in America and Britain, Lionel Shriver’s first collection explores property in both senses of the word: real estate and stuff. These pieces illustrate how our possessions act as proxies for ourselves, and how tussles over ownership articulate the power dynamics of our relationships. 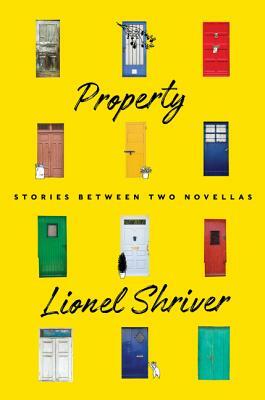 In Lionel Shriver’s world, we may possess people and objects and places, but in turn they possess us. In the stunning novella "The Standing Chandelier," a woman with a history of attracting other women’s antagonism creates a deeply personal wedding present for her best friend and his fiancée—only to discover that the jealous fiancée wants to cut her out of their lives. In "Domestic Terrorism," a thirty-something son refuses to leave home, resulting in a standoff that renders him a millennial cause célèbre. In "The ChapStick," a middle-aged man subjugated by service to his elderly father discovers that the last place you should finally assert yourself is airport security. In "Vermin," an artistic Brooklyn couple’s purchase of a ramshackle house destroys their once-passionate relationship. In "The Subletter," two women, both foreign conflict junkies, fight over a claim to a territory that doesn’t belong to either. Exhibiting a satisfying thematic unity unusual for a collection, this masterful work showcases the biting insight that has made Shriver one of the most acclaimed writers of our time. Lionel Shriver's novels include The New Republic, So Much for That, The Post-Birthday World, and the international bestseller We Need to Talk About Kevin. Her journalism has appeared in The Guardian, the New York Times, the Wall Street Journal, and many other publications.